The machinations of Magistrex Vox become bolder and bolder. After wreaking havoc in Mournhold and tiny Selfora, the mad magic user has shattered the peace of the once tranquil Shrine of Saint Veloth. Will this woman ever stop long enough for you to put an end to her attacks on the dead? Or are you going to chase her forever...? 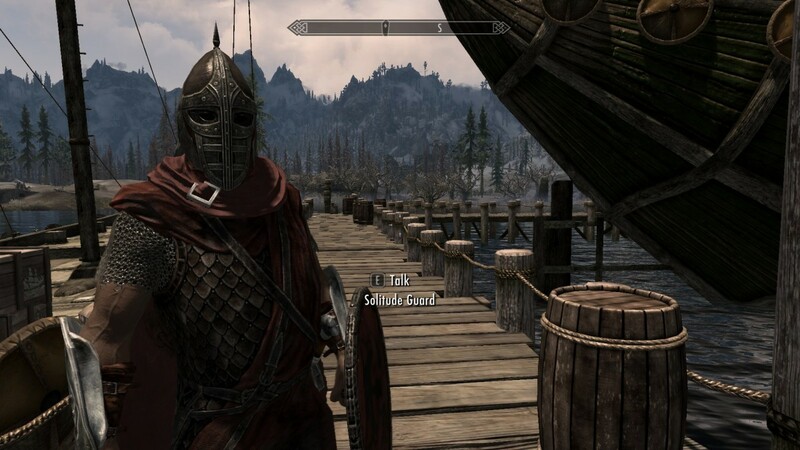 - You can find the NPC for this quest, Acolyte Vela, outside the eastern-most building in Selfora. Look for her just east of the circle in the middle of town on the map. 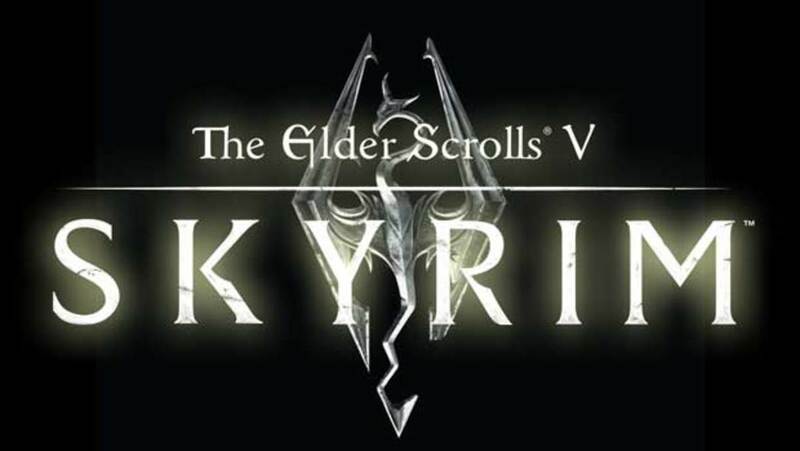 To trigger the quest you must first have completed The Seal of Three. - Selfora has enough problems, and Vela is about to add another. Magistrix Vox unleashed the spirit of Saint Veloth at the nearby Shrine of Saint Veloth, and things have been going awry ever since. She begs your assistance. - Leave Selfora and head east. You'll find the Shrine across a body of water, and up the first set of stairs ahead floats a Vestige of Saint Veloth. Speak to the Vestige. - The Vestige begs your help in restoring his power that he might help you defeat Vox. You need to find the Reliquary Spire, the Reliquary Pendant, and three Reliquary Stones to get the job done. 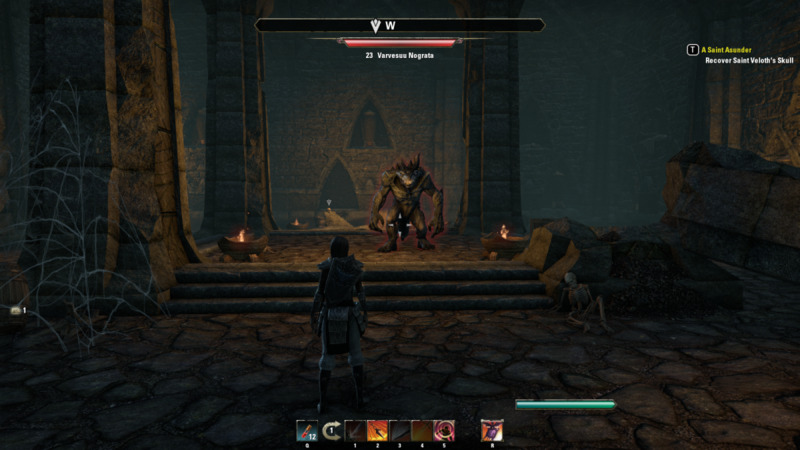 Facing off against a Varvesuu Nograta, a demon of terrible power hiding in the Shrine of Saint Veloth during the A Saint Asunder quest in The Elder Scrolls Online. - Continue up the stairs to enter the Shrine's grounds. 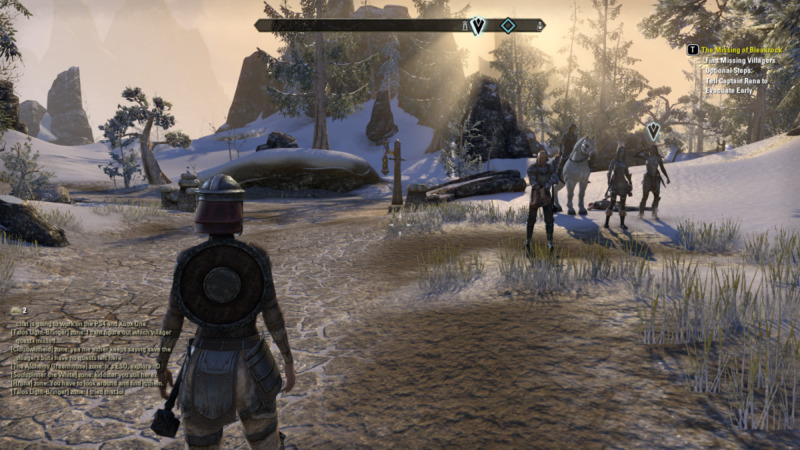 The area is filled with Dremora guards, Watchers, and the occasional Clannfear. You've fought them all before if you're on this quest. 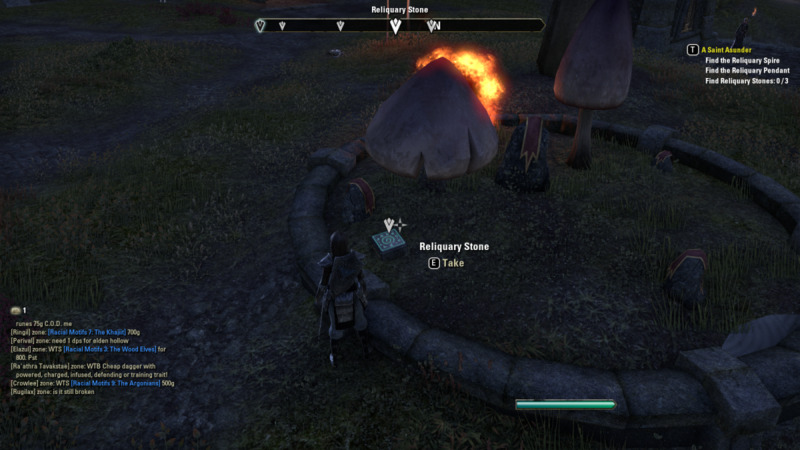 Hunt around the grounds more or less at random for the three Reliquary Stones. They're all sitting on the edge of fountains. - ... while the Reliquary Pendant is sitting on the edge of the Shrine's topmost wall as you make your way up the hill. - After collecting all five items, scale the hill leading to the Shrine's entrance. You'll find one Master Aron near the top. He's happy that you've recovered the reliquaries, but he has a bigger problem: a daedroth just made off with Saint Veloth's Skull. Huh. - Run southwest down the hill. On your right you'll find a guy named Acolyte Hlen, kneeling by a wall. Speak to him to open up the crypt next to him. - Inside you'll find the mighty Varvesuu Nograta, a demon of terrible power. Varvessu is a fire-breathing menace that employs a conical AOE attack and a fair number of physical strikes. Strafe around it to avoid the fire attack and smack it to death from behind as much as you can. - After destroying the beast, check the rubble behind it for Saint Veloth's Skull. Head back up out of the crypt and you'll find the Vestige on the way. Speak to him as you leave. - Tramp back up to where you met Master Aron and approach the stone dais. Interact with it once you have all of the pieces to restory the full reliquary. Then speak to Saint Veloth's spirit for your explanation and reward. That's the major quest of the area done. There are two more quests to do in the Shrine of Saint Veloth, though, and one of them pertains to the area. Might as well do it before you leave. 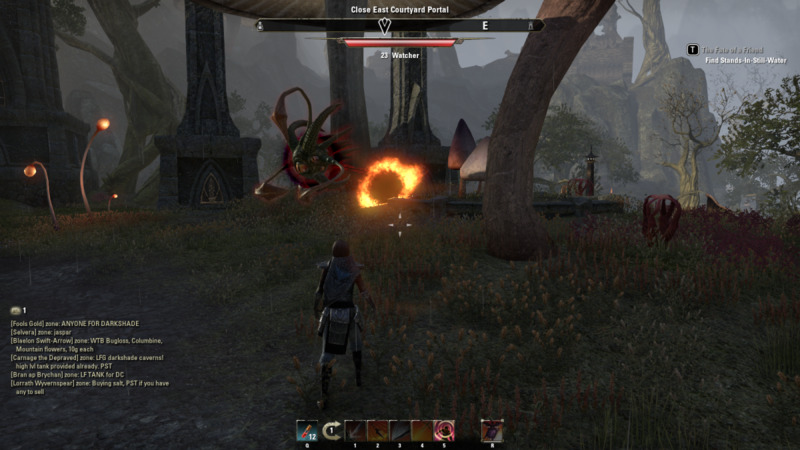 Closing a portal leading to a demonic realm during The Wounds in the World quest in The Elder Scrolls Online. - To trigger this quest you must first complete A Saint Asunder. Once you do, Priest Dilyne will appear beside the bridge leading onto the Shrine's grounds. 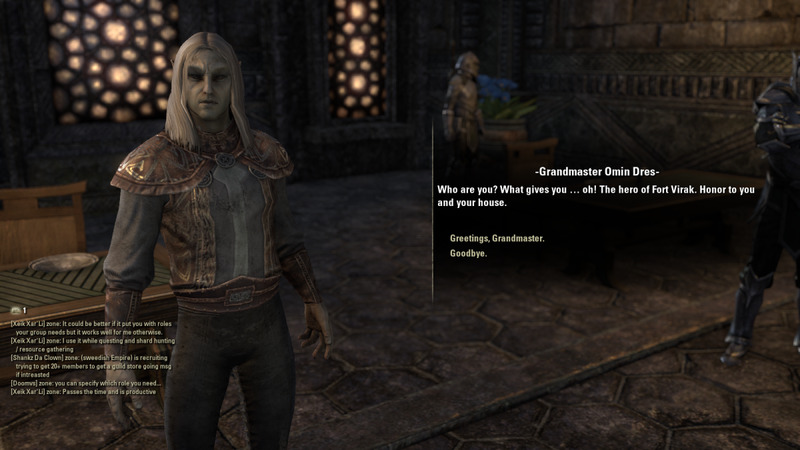 - You've probably noticed that the Shrine of Saint Veloth is beset by daedric minions, and they're spewing out of the orange-and-black portals that are scattered about the grounds. You must travel to each of the portals and destroy the Watchers that maintain them. - The quest is easy enough. There are Watcher portals in the (roughly) four corners of the Shrine. Destroy the Watchers while they're linked to their portals (all you need do is remain near the portals during the fight) and you'll easily close the lot. 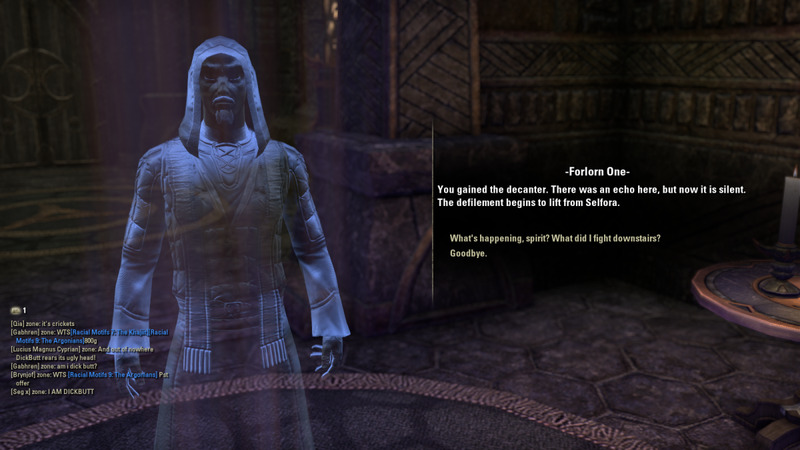 - Head to the uppermost dais at the top of the Shrine to find Dilyne. Speak to her for your reward. Be helpful to have a map for locations thanks.